Senior Russian officials have made clear that the country’s energy policies will continue to evolve around the nexus of ambitious export plans. The government pledged to make the country’s gas exports more flexible. Russia’s total gas exports will include 10 percent of liquefied natural gas (LNG) by 2020 and 15 percent by 2030, Prime Minister, Vladimir Putin, announced on September 17. The global demand for hydrocarbons will be increasing in the next decade according to Putin. (Interfax, ITAR-TASS, RIA Novosti, September 17). On September 20, Putin toured the construction of the Nord Stream subsea pipeline in the Baltic Sea. The 1,200-kilometer pipeline is due to supply up to 55 billion cubic meters (bcm) of Russian gas to Germany and other West European nations by 2011 (Interfax, RIA Novosti, September 20). Meanwhile, Moscow has resumed its efforts to supply gas to China. Russia and China are due to reach a final agreement on natural gas supplies next year, Deputy Prime Minister, Igor Sechin, announced. The agreement on gas prices is expected in the first half of 2011 and supplies could start in 2015, Sechin explained (Interfax, ITAR-TASS, RIA Novosti, September 21). Sechin made the announcement during the bilateral energy forum in Tianjin on September 21. Furthermore, the Russian state-run gas giant Gazprom and China National Petroleum Corp (CNPC) are due to agree on gas supply volumes later this month, Gazprom’s Deputy CEO, Alexander Medvedev, told the Tianjin forum. He voiced expectations to agree on “take-or-pay” terms and pledged to supply 30 bcm to China in 2015 (Interfax, September 21). Gazprom’s project to build the Altai gas pipeline to China has been stalled for years as a bilateral agreement on gas prices has remained elusive. 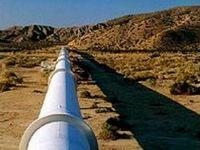 Four years ago, Moscow promised to export up to 40 bcm of Russian gas to China via a 6,700-kilometer Altai pipeline. In March 2006, Gazprom and CNPC signed a memorandum on the delivery of Russian natural gas to China by 2011. Gazprom first offered to supply gas at European prices, while CNPC insisted on lower prices. In October 2009, Gazprom and CNPC signed a framework agreement on gas supplies, including the construction of a gas pipeline. Gazprom and CNPC agreed that gas prices would be connected with the “Asian oil basket.” Russian officials had previously expected a final agreement on gas prices in June 2009, and gas supplies to start in 2014-2015. In July 2010, Gazprom and CNPC held talks on financing the Altai pipeline, but the negotiations failed to reach any agreement. Gazprom initially estimated the pipeline’s construction cost at $10 billion, but then raised this estimate up to $14 billion. Gazprom has insisted that the country would have no trouble supplying gas to China and other Asia Pacific nations as its East Siberian gas reserves exceed 65 trillion cubic meters (tcm). Russia’s Far Eastern and East Siberian regions are expected to produce up to 150 bcm per year of gas by 2020, according to the Russian governmental estimates. Gazprom has also sought new partnerships in Asia. In May 2010, officials announced that Gazprom had started negotiations with South Korean companies to discuss joint projects to develop West Kamchatka offshore gas deposits. Earlier this month, Gazprom pledged to sign a “roadmap” with South Korea’s KOGAS on gas supplies later this month, Gazprom’s CEO, Alexey Miller, announced (Interfax, September 9). From 2009 to 2010, Russia already supplied 2.6 million tons of LNG to South Korea from the Sakhalin-2 project. In July 2009, Gazprom was granted licenses to develop the West Kamchatka and Sakhalin-3 offshore gas deposits. Gazprom pledged to cooperate with the state-run oil giant Rosneft to develop the West Kamchatka gas deposits estimated to contain up to 2 tcm of gas reserves. Meanwhile, Rosneft has pledged to raise its crude output. Last month, Rosneft indicated plans to increase crude oil production from 119 million tons in 2011 up to 133 million tons in 2015 (Interfax, RIA Novosti, August 14). In 2009, Rosneft produced 112.6 million tons of crude. On September 18, Rosneft said it would expand into retail markets of oil products in Central Asia, including Kyrgyzstan and Tajikistan. The company also pledged to increase jet fuel supplies to the region, including to Manas air base in Kyrgyzstan (Interfax, September 18). Earlier in September, Rosneft’s new CEO, Eduard Khudainatov, urged the government to extend Vankor tax exemptions till 2015. Rosneft plans to produce up to 17 million tons of crude per annum at the Vankor deposit in the Krasnoyarsk region. However, on September 21 Finance Minister, Alexey Kudrin, said he saw no reason to extend tax exemptions granted to Rosneft’s Vankor deposit in Eastern Siberia beyond January 2011 (Interfax, RIA Novosti, September 21). Rosneft apparently needs increases in crude production in Russia’s Far Eastern and Siberian regions in order to honor its commitments under contracts with China. In April 2009, the Chinese and Russian governments finalized a deal under which Russia will supply China with 300 million tons of crude for 20 years in exchange for a $25 billion loan to Russian state-run companies Rosneft and Transneft. Subsequently, Transneft moved to build a branch from the East Siberia Pacific Pipeline (ESPO) to China. The branch’s construction began in April and was completed on August 29, 2010. On September 21, CNPC and Rosneft formally started construction of the Tianjin refinery to be built as a joint venture. Deputy Prime Minister Sechin argued that the refinery would cost $5 billion (Interfax, ITAR-TASS, RIA Novosti, September 21). Therefore, the Kremlin has been encouraging the country’s oil producers not only to increase output and exports, but also to develop refining facilities beyond Russia’s borders. These latest developments indicate that Moscow’s long-term energy strategy appears to be based upon an expectation of increased global demand for hydrocarbons and higher energy prices. However, this strategic thinking will inevitably face a reality check in the years ahead.